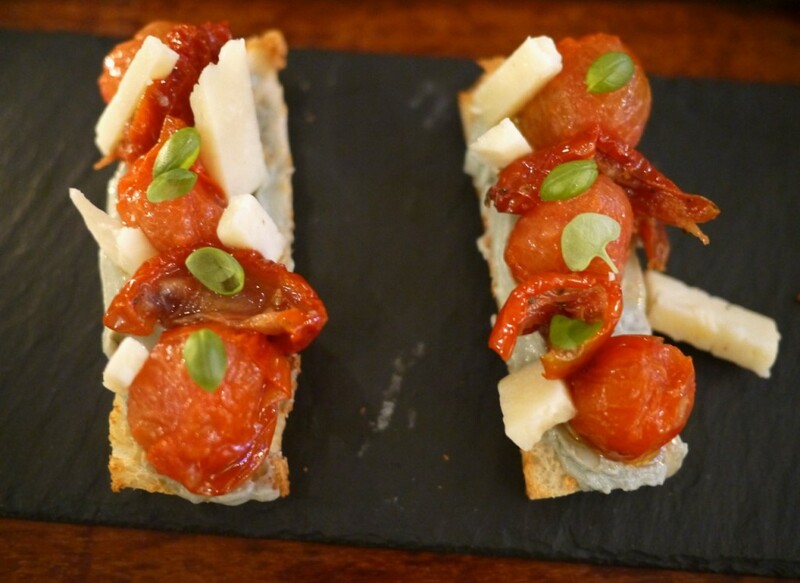 Iberica has become our go to restaurant for delicious Spanish food in London. It was back at the beginning of May 2013 that we made our first lunch resrvations at the Marylebone branch. Jorge had heard about the interior design by Lázaro Rosa-Violán and wanted to check it out. 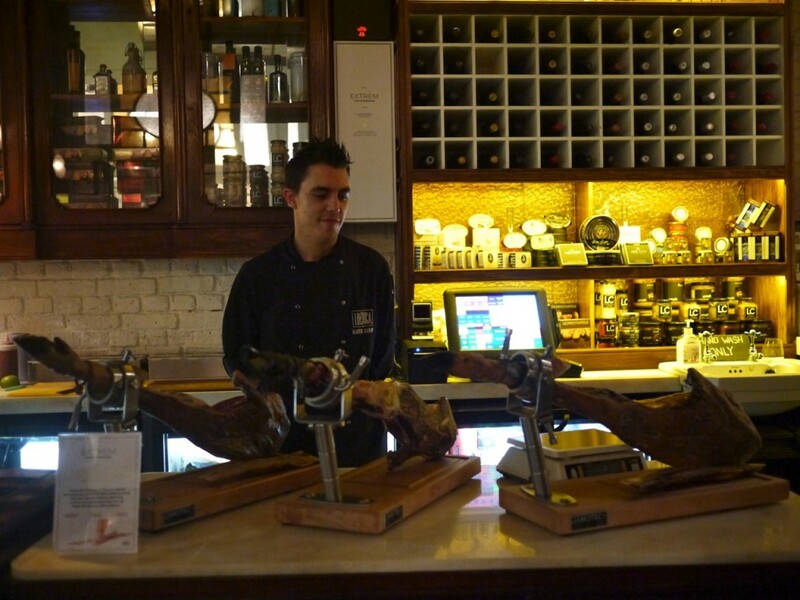 Before then, he’d always said he never eats Spanish food in London, but Iberica won him over because we’ve been back many times since. I even brought my parents when they were here last year and had my hen night cocktails there in June before we got married. Until a few weeks ago, we had only been to the Marylebone branch, but we finally had the chance to check out the newest one in Farringdon (there’s also one in Canary Wharf). 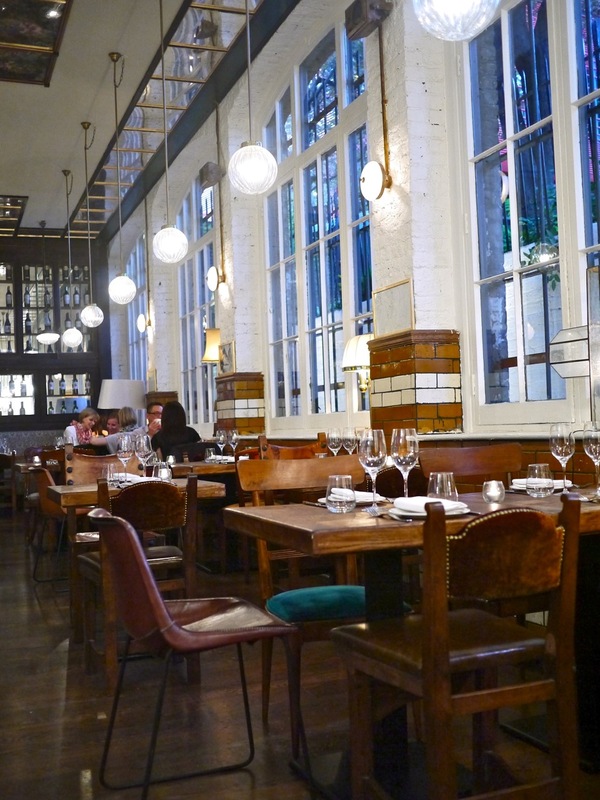 We found it tucked away, a bit more secluded than the Marylebone restaurant which is right on the high street. It may have been because the City is pretty dead on the weekends but compared to Marylebone, it was much quieter (not a bad thing, just a different vibe). 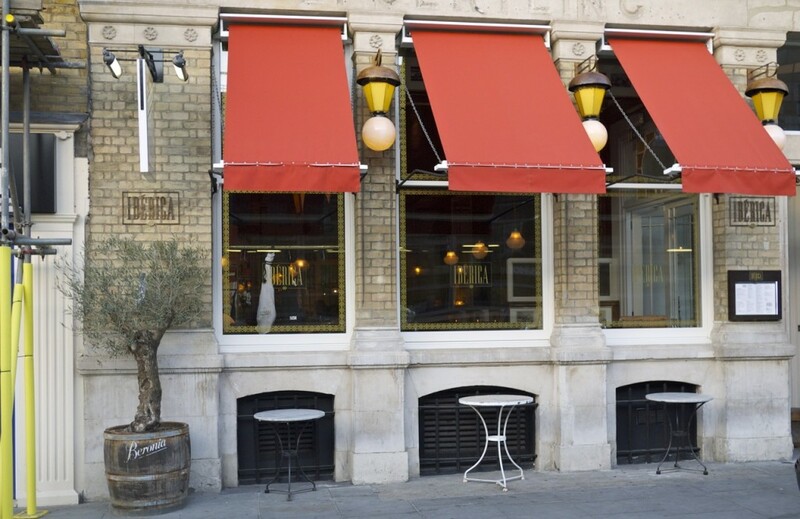 The decor is similar, though becuase the Marylebone space is bigger with beautiful high ceilings, the smaller Farringdon branch has a bit more of a cozy atmosphere. 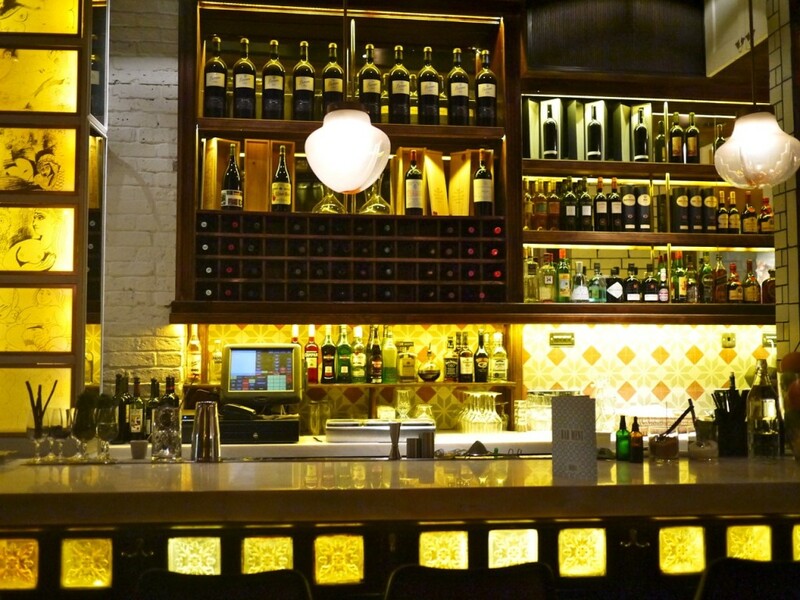 The bar is separated from the dining area in Farringdon, whereas in Marylebone, the bar is at the center which makes it a bit more lively. 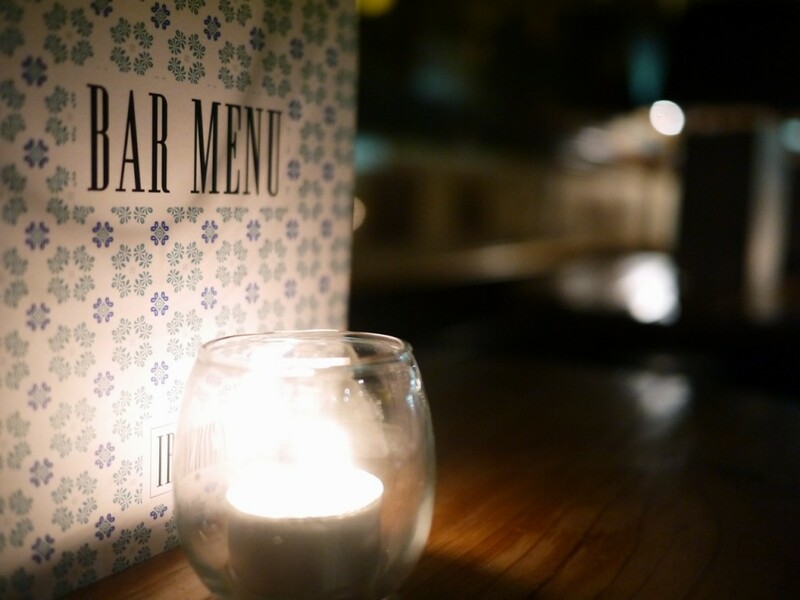 We were pleased to see the staff were just as friendly in both branches, and most importantly, of course, that the food was equally tasty and well-presented. I’m not sure we’ve had better olives anywhere. 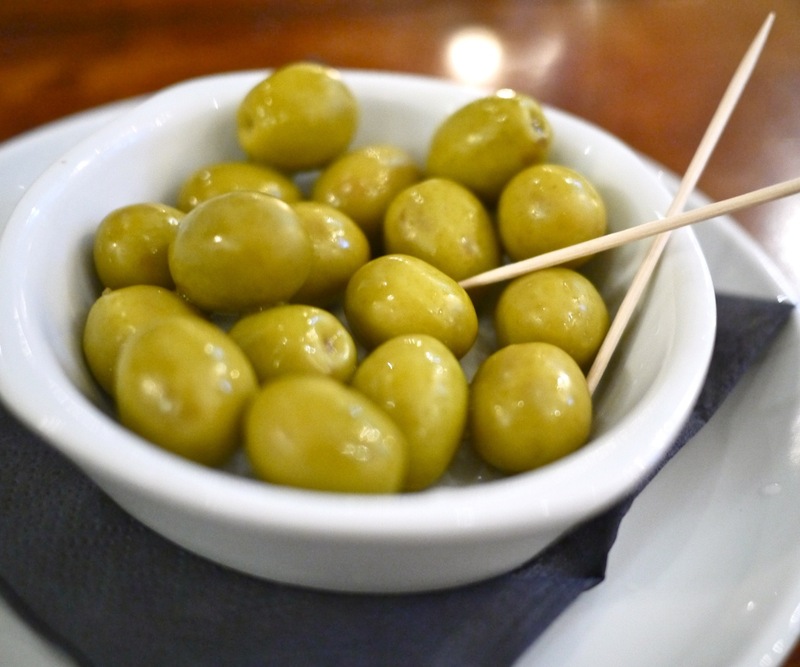 The olives in Iberica are worth a trip alone. 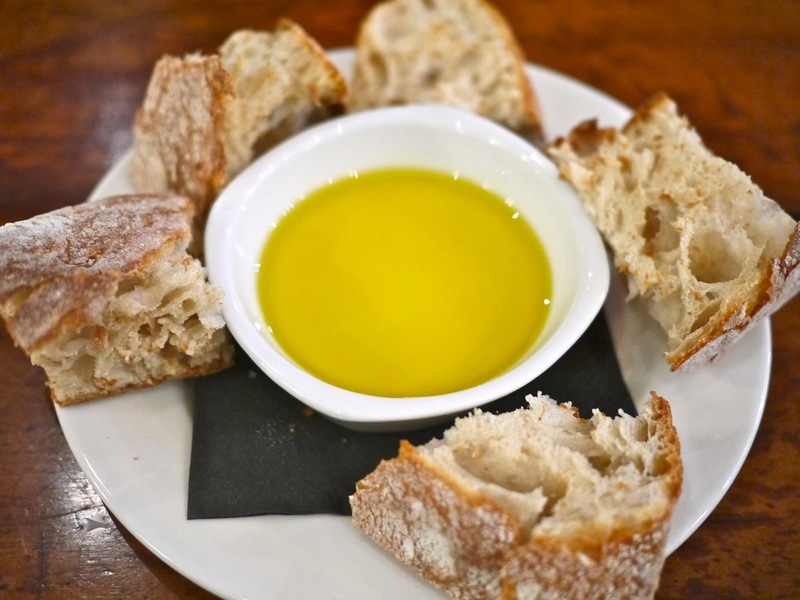 We ordered those as a starter and some bread with olive oil for dipping. I’m a big fan of the Iberica cocktail list and went with one of my favourites: Wild Thyme which is made of bourbon, fig jam, lime and thyme. 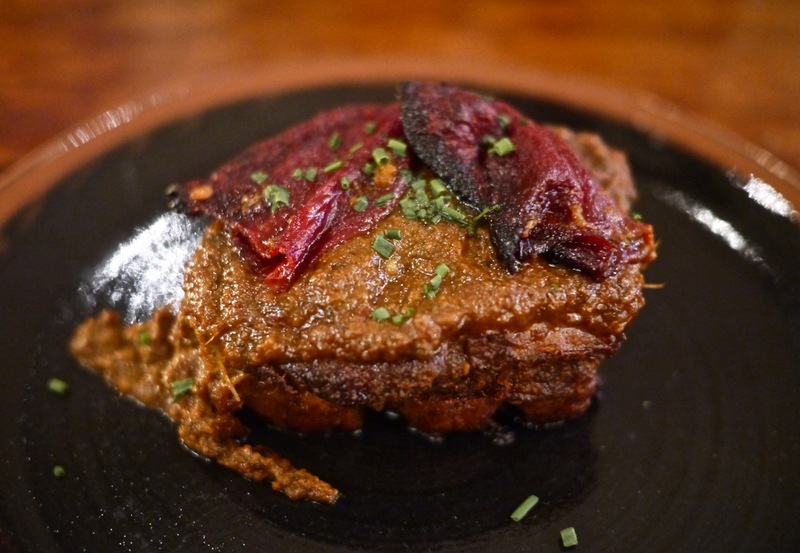 We ordered a few of our favourite dishes, but also tried a couple that were new to us. 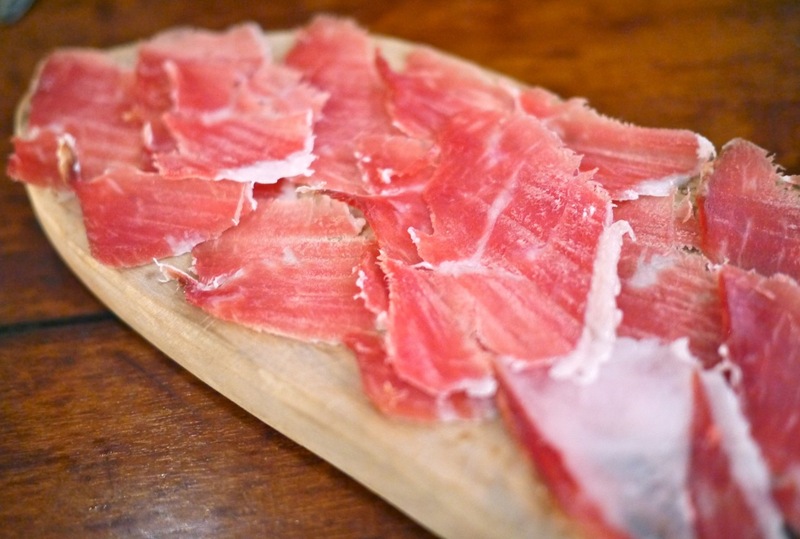 The first – a must – jamón. 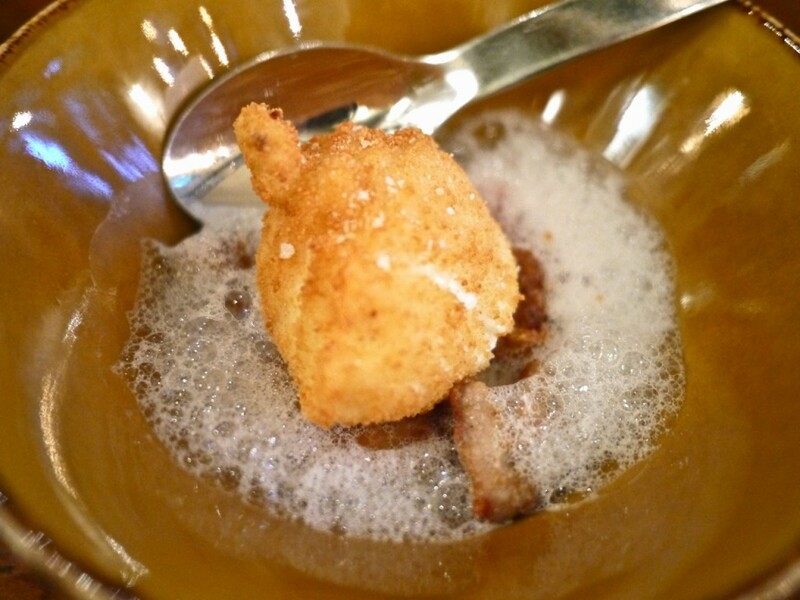 Next, they brought out this beauty: Lamb sweetbreads, two way egg and roasted red peppers. Then we tried another one that was new to us: Creamed Cheeses, Sun Blush and Cherry Tomatoes Toast. The cherries burst in your mouth, a great combination with the cheese. Then this thick piece of lamb that just melted in our mouths. I’m actually finding it really difficult to write this right now because it’s right before dinner and I’m starving! And unfortunatley I’m not going to Iberica tonight…Anyway, this one of their specials by chef Albert Adriá from @BarTickets called Pork Ribs in Salmorejo Sauce. 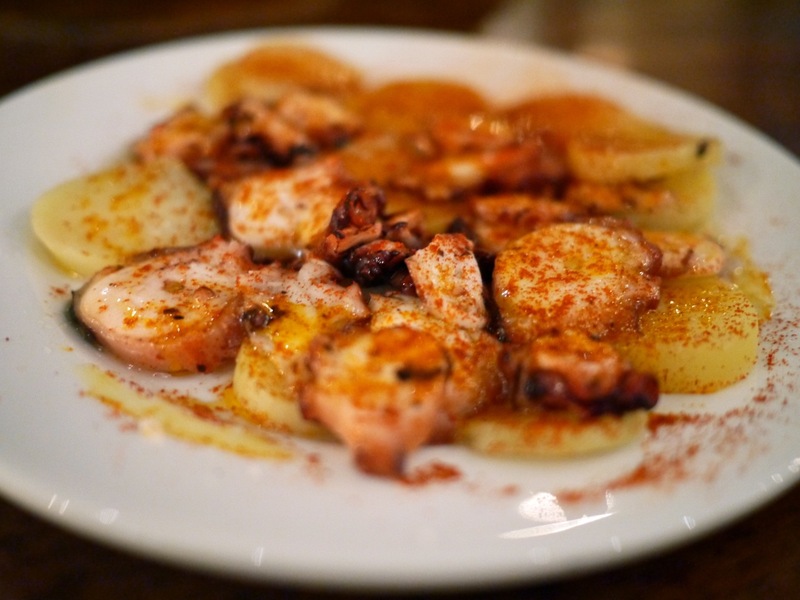 After the lamb came a tried and true favourite: Pulpo a la Gallaga – octopus with potatoes and paprika. I can’t get enough of that texture. Then, not that we necessarily had room, we decided to share a dessert, as usual. Before they brought the menu, we decided we’d have our top favourite which is the Tarta de Santiago. When the menu arrived, it wasn’t there! We were sad to see it has been taken away and hope it is only temporary. 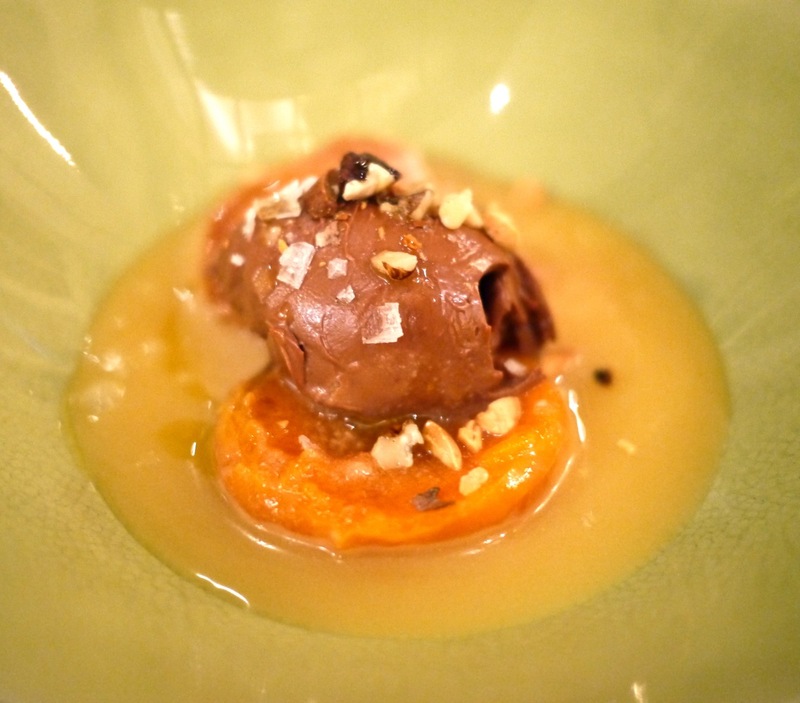 Instead, we opted for the Braised Apricot with Chocolate and Lemon Cream. Super sweet and very good but doesn’t beat our long lost Tarta de Santiago! I love the interior of this restaurant! 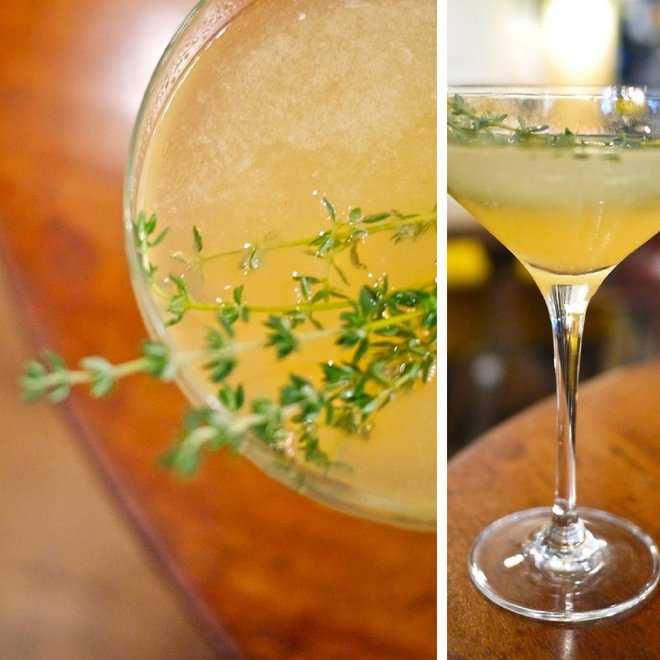 Your Wild Thyme cocktail sounds absolutely delicious and right up my alley.